Are you traveling from Latvia to Lithuania or vice versa? 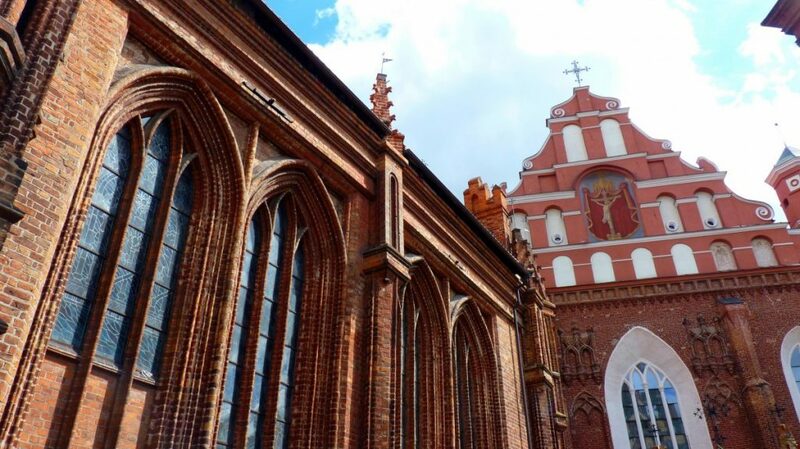 The most popular route between these two countries connects Riga to Vilnius, and we will analyze the best options to do this journey. Riga is the capital of Latvia and Vilnius is the capital of Lithuania. If you doing a long tour in the Baltic States odds are that you will travel on the Riga to Vilnius route or vice-versa. The two capitals are separated by approximately 300 kilometers, and below we will explore the options on how to travel between these two cities. Currently, you can travel from Riga to Vilnius by car, bus and plane. Even if both countries have passenger train networks, it is currently not possible to travel between these two cities by train. Getting from Riga to Vilnius by bus is probably the most convenient option for a number of options. Firstly there are buses traveling almost any time during the day or night, in routes operated by several companies. Second, because of the low operational costs and competition, tickets are usually pretty cheap even when bought on spot. The journey itself usually takes from 4 to 4 and a half hours. There are some direct buses, and some other make a few stops, but not too many. The stops are usually in Panevezys (LT) or Bauska (LV). You can buy bus tickets from Riga to Vilnius and vice versa online. You can compare prices and schedules on this route on GoEuro . You can also buy tickets from Riga to Vilnius directly at infobus.eu. Another convenient option to travel from Riga to Vilnius is using a car. You can do that with your own or also rent a car. Since both Latvia and Lithuania are in the Schengen area, there are no border queues or anything like that when crossing the border. Renting a car is relatively inexpensive in the Baltic States, and the traffic on the road from Riga to Vilnius is usually light. However to exit Riga and to arrive in Vilnius there might be traffic jams (depending on the hour). If you want to rent a car in Vilnius or Riga you can compare prices on RentalCars.com. Another option to travel from Riga to Vilnius is taking the plane. This option can be pretty convenient, as there are direct flights and the duration of the flight is pretty short. It takes just 50 minutes to fly from Riga to Vilnius. However one should consider the time to get to the airport in Riga, and from the Vilnius airport to the city. Most of the flights connecting the two Baltic capitals are operated by airBaltic. You can find the cheapest flights from Riga to Vilnius on Our Flight Tickets Search. Currently, there are no direct train services between Riga and Vilnius. Despite the countries’ proximity in different levels, the lack of direct train links can be explained by a number of reasons. When Latvia and Lithuania got independent from the Soviet Unin, a social and economic revolution happened in both republics. Economic changes, lack of investment and even passenger traffic are just some of the reasons why there are no trains from Riga to Latvia. There is a ongoing project however to connect the Baltic States with a direct train link. Its name is Rail Baltica and aims to connect Helsinki(Finland) to Warsaw(Poland). If the project is successfully completed, it will also connect Riga to Vilnius (possibly via Kaunas). Here are some accommodation options for your trip in Riga and Vilnius. St. Peter’s Boutique Hotel – a pleasant and refined accommodation option in Riga old town. Radi Un Draugi – an excellent option to enjoy the Latvian culture at the heart of the old town, close to the dome cathedral. If you are travelling in the Baltic States, don’t forget to check our other guides for this region. Check where to stay in Riga and the best places to stay Vilnius. You can learn how to travel from Riga to Tallinn or Tallinn to Helsinki and the best places to visit in the Baltic States.